The All Progressives Congress (APC) yesterday kicked off its presidential campaign in Ogun State ahead of the February 16, 2019 presidential election.The campaign, which took off in Sagamu at the palace of Akarigbo of Remoland, was spearheaded by Vice President Yemi Osinbajo with the governorship candidate of the party, Dapo Abiodun; former deputy governors, Adegbenga Kaka and Prince Segun Adesegun; Senator Gbenga Obadara and other chieftains of the party in the state in attendance. 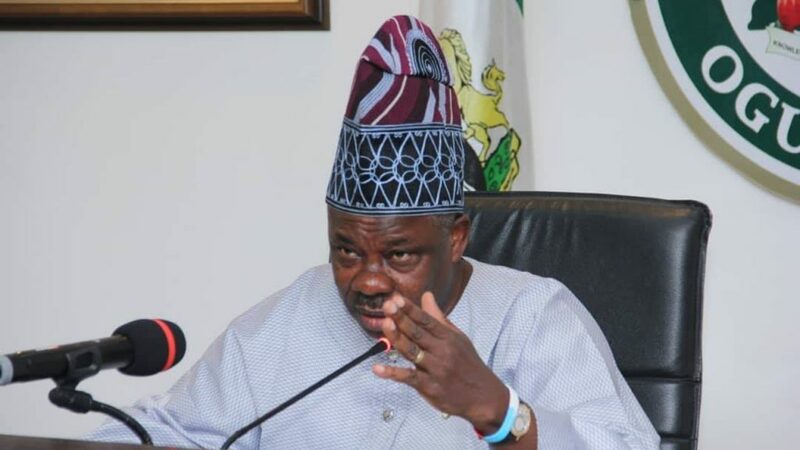 The state governor, Senator Ibikunle Amosun, was however, conspicuously absent at kick-off. Osinbajo, who said he was kicking off the campaign in Remoland, being his source, solicited prayers of monarchs in the area for the party to win the presidential election convincingly. The Vice President, who spoke glowingly on five ongoing road construction works in the area, which include the Ikorodu/Sagamu Road, among others, said the present administration is doing everything possible to improve power supply, infrastructural development, and provision of jobs for unemployed youths. He added that the N-Power programme, which currently has 500,000 participants, would soon be increased to one million to accommodate more unemployed graduates.He said other government’s programmes like the school feeding programme and trader moni would be intensified. Meanwhile, the Akarigbo, Oba Babatunde Adewale Ajayi, said since the Vice President hails from Remoland, they have no choice than to mobilise and vote en-masse during the presidential election.In another development, the state chapter of the APC has described as “uncharitable, uncultured and unbecoming” the recent verbal attacks on former governor of the state, Aremo Olusegun Osoba, by the governorship candidate of the Allied People’s Movement (APM), Mr. Kunle Akinlade. “While we see the attack on Osoba as the ‘vituperations of a frustrated infantile candidate, who sees a whopping, imminent and inevitable defeat staring him in the face, we are however duty-bound to urge him to stop insulting the collective intelligence of Ogun people with his trite claim that he participated and was cheated during the APC gubernatorial primary of October 3, 2018.